After the first three days of early voting for the Alberta provincial election and with two days to go, the turnout has been far higher than during the entire advance polling period in 2015. Elections Alberta reports that 403,000 voters had cast ballots by end of day Thursday, with Friday and Saturday still to go. That's more than the populations of Airdrie, Okotoks, Red Deer, Medicine Hat, Lethbridge and Leduc put together. During the first three days of advance voting in the last provincial election in 2015, roughly 162,000 ballots were cast. Mount Royal University political scientist Lori Williams says it's a mistake to read too much into the high turnout numbers because advance voting doesn't necessarily predict what happens on election day. "It's really difficult to know what's motivating the people who are voting, whether it's awareness, whether it's anger, whether it's fear," she said. Williams says there's a good chance voter turnout will be high because it's been a highly competitive, hard-fought race with stark choices on the ballot. 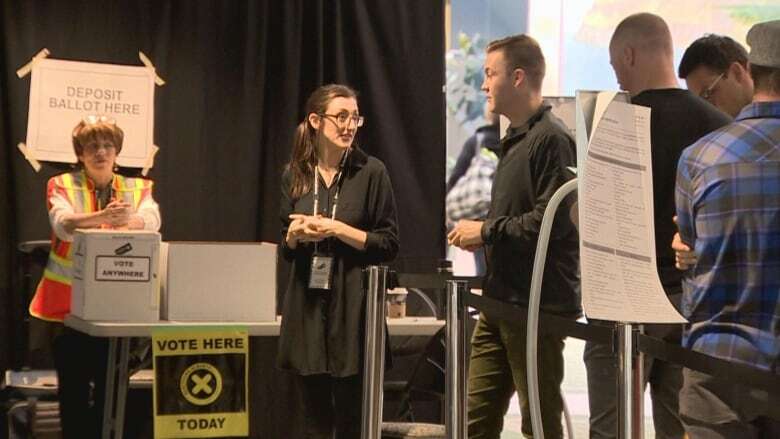 Unlike previous years, Albertans can cast their ballots at any advance poll location in the province, instead of just their assigned polling station. But those "vote anywhere" ballots will not be counted until 1 p.m. the following day. On election day, voters must cast ballots in the ridings where they live. Duane Bratt, a political scientist at Mount Royal University in Calgary, says that might be driving up the turnout. "You now can go to all sorts of places, whether it's Mount Royal University, the Calgary airport, and vote no matter where you live" in the advance polls, he said. Bratt says research suggests people who vote early were already going to vote anyway, and prefer the convenience to standing in line on election day. Voting hours vary from location to location, with most advance polling locations open from 9 a.m. until 8 p.m. through Saturday. Up-to-date stations and dates are available here.